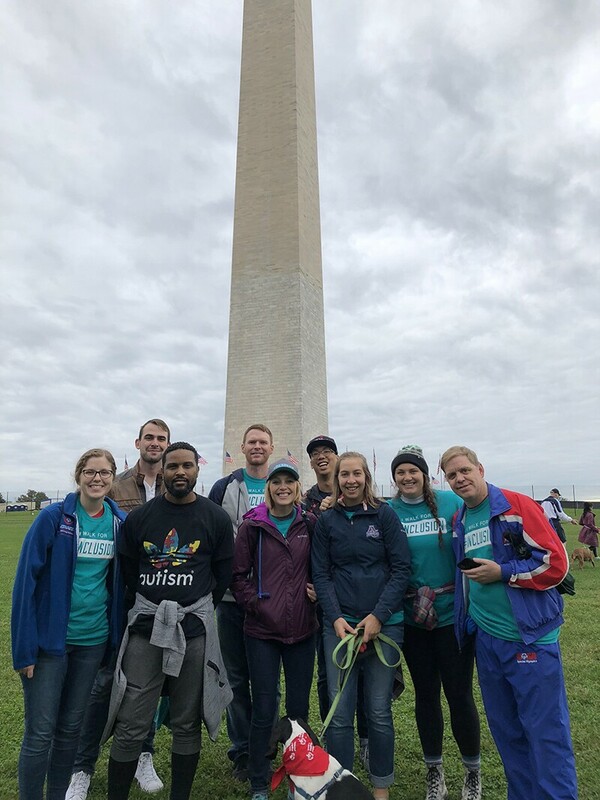 On Saturday, 20 October 2018, a group of Special Olympics staff including Carolyn Phillips, Brian Gresham, Meg Jean, Anthony Lockley, Ming Hsu, and Bobby Jones joined forces and participated in the 9th Annual Best Buddies Friendship Walk. They brought along their friends, family, and dog (Dora) as well to support the cause. 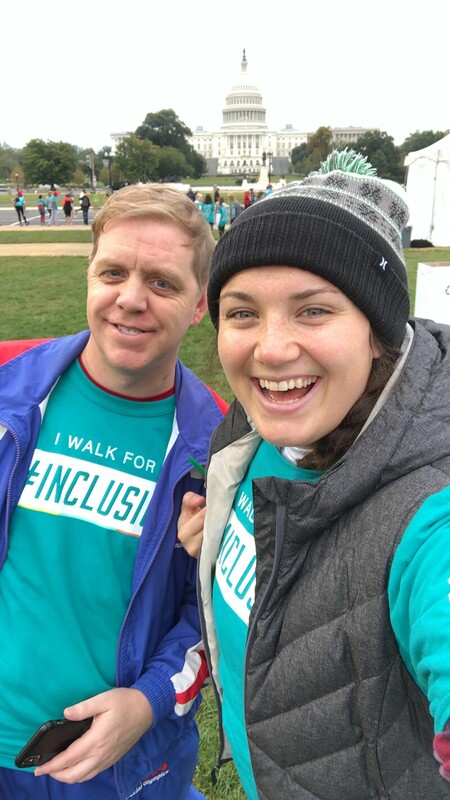 The Special Olympics team walked a 5K across Washington D.C.’s National Mall alongside an impressive 2,000+ people. 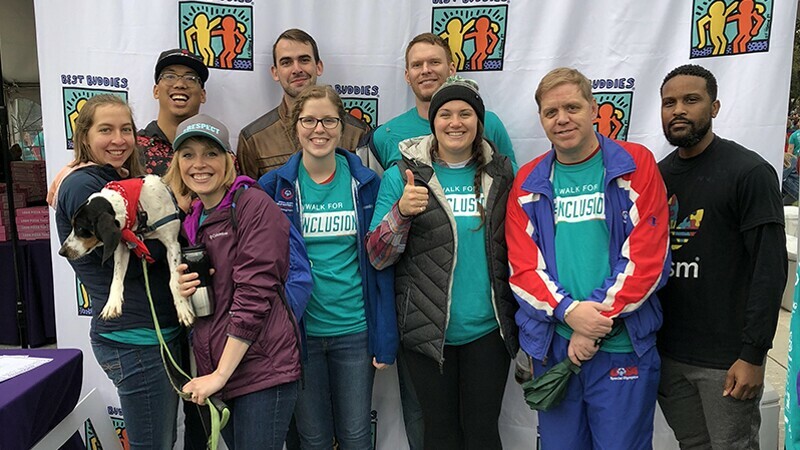 The Best Buddies Friendship walk is the leading walk in the U.S. supporting inclusion for people with intellectual and developmental disabilities. The Best Buddies Friendship Walk exceeded its goal and raised over $400,000. This record-breaking number was raised to support friendship and inclusion for individuals with intellectual disabilities and is making a difference in Washington, D.C. and the Virginia area. Special Olympics employee Meg Jean was impressed by what Best Buddies is doing for people with intellectual disabilities; she said, “YAY for 400K! I am so glad I participated in the Best Buddies walk. I have never been a part of a fundraiser that large before, and it was truly something special. I met so many people with and without intellectual disabilities that day, and my heart was so full. Seeing the amount of people who were there for such an amazing cause gives me hope for the Inclusion Revolution.” In the world we live in today, organizations like Best Buddies and Special Olympics are so important. Bringing more inclusion into our society gives people with intellectual disabilities a chance to be all that they can be, and it gives people with and without intellectual disabilities an experience that they will cherish forever.